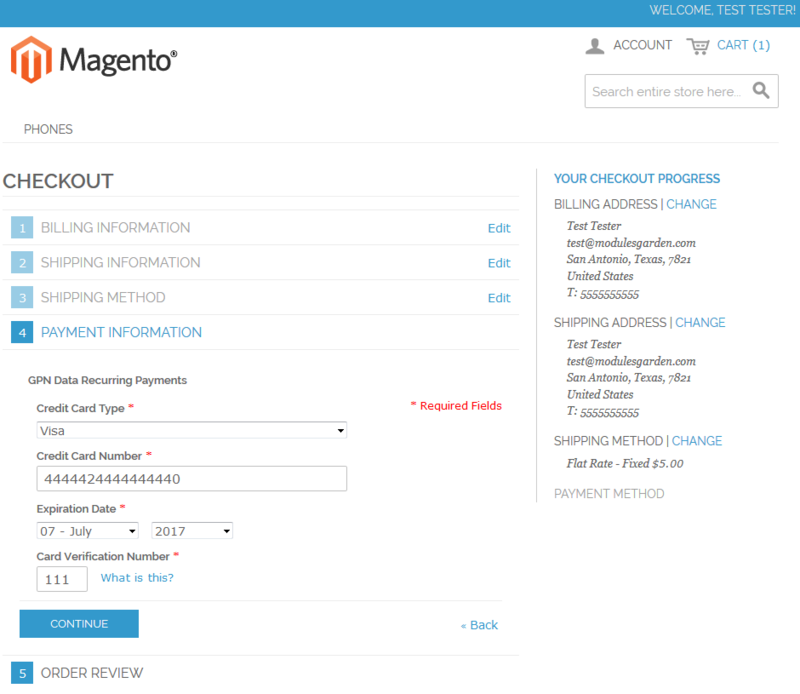 GPN DATA For Magento is a extension that allows you to integrate GPN DATA payment gateway with your Magento. 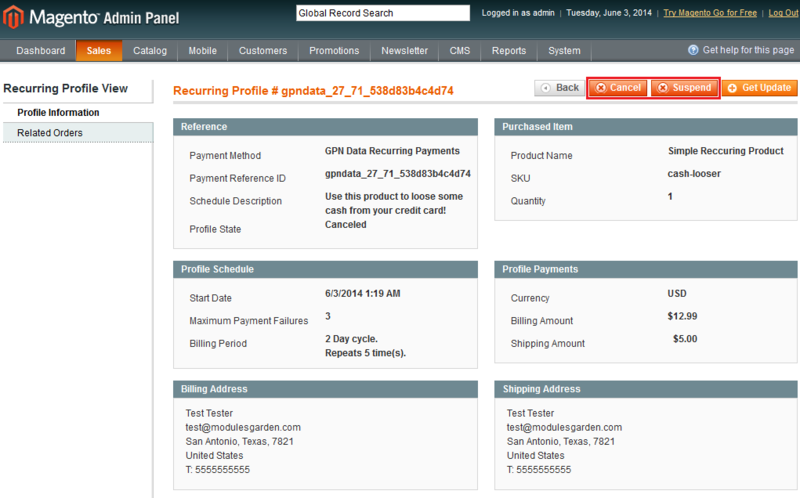 The extension lets you implement all GPN DATA features directly to your online store based on Magento. You can benefit from e.g. 3D Secure, recurring billing, two authorization methods or refund functionality. 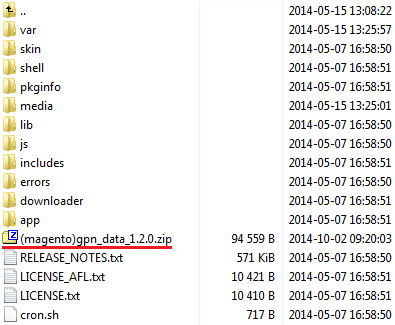 This tutorial will show you how to successfully install GPN DATA For Magento. 1. 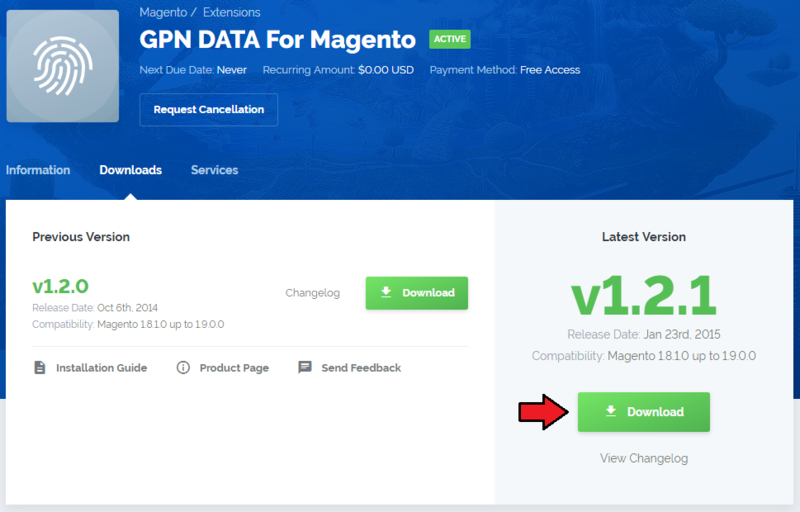 Download GPN DATA For Magento from here. 3. 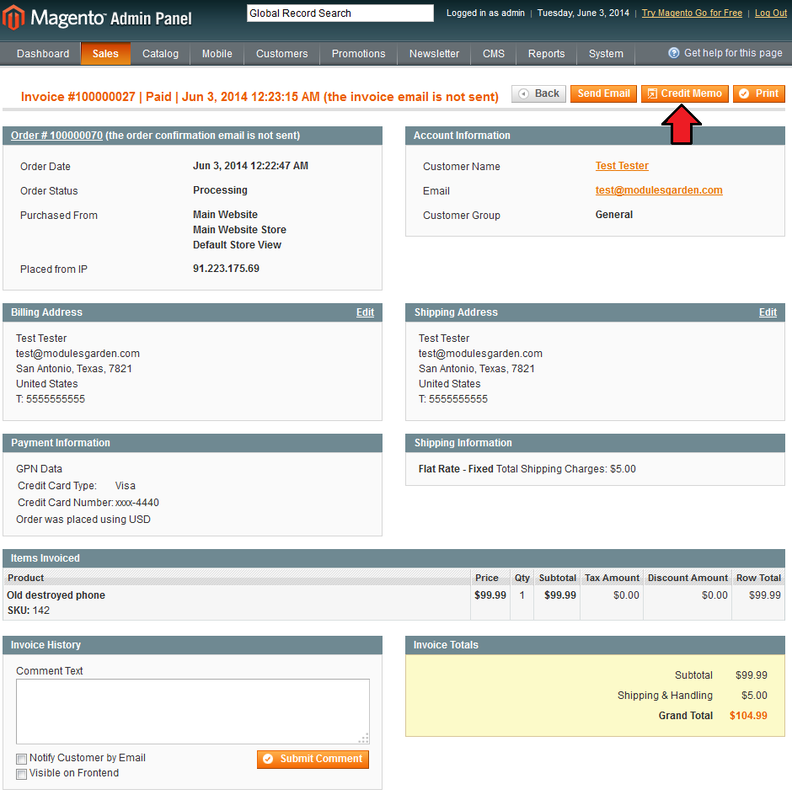 Now you have to configure the extension in your Magento system. All required details concerning GPN DATA configuration can be found at the GPN DATA panel. Log in to the panel and go to the 'Merchant' → 'Technical integration' . 3. 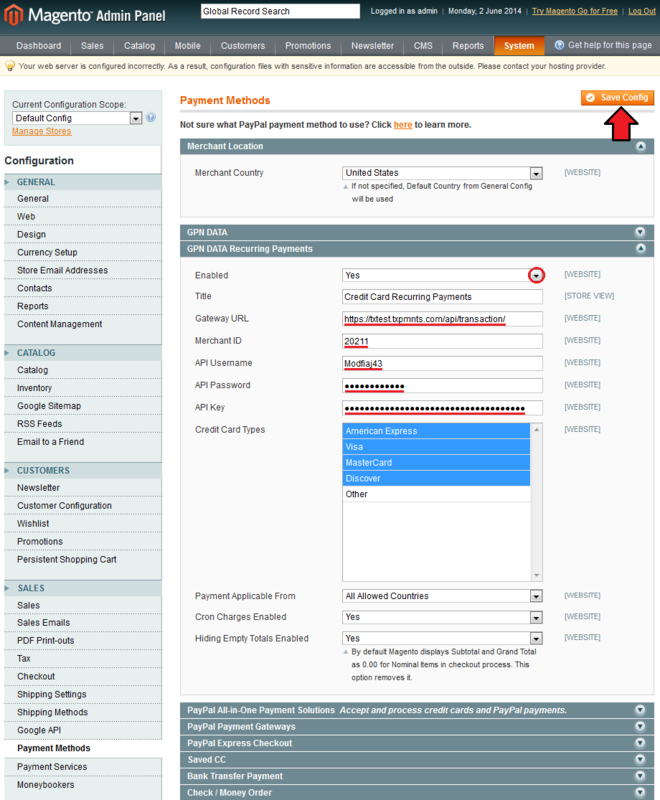 Log in to your Magento admin area to configure both 'GPN DATA' & 'GPN DATA Recurring Payments' gateways. 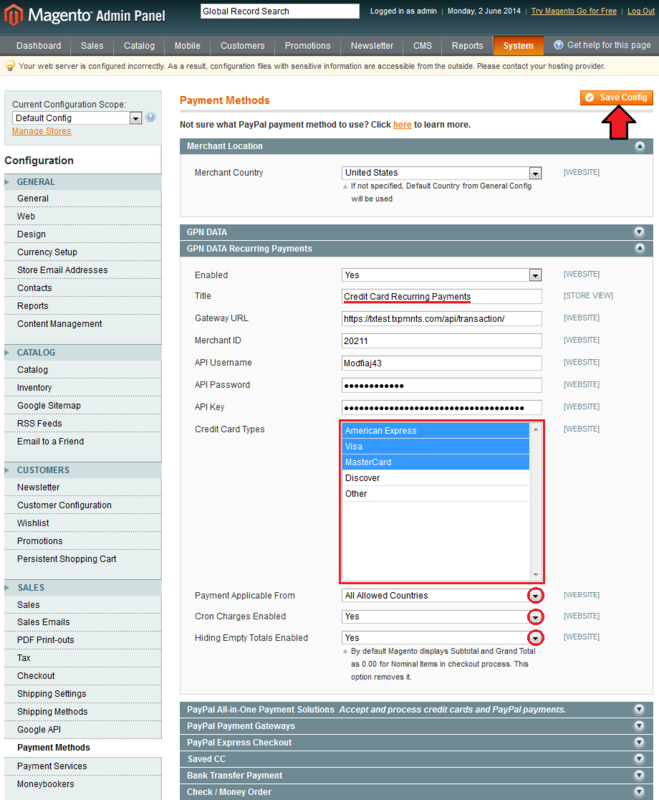 Go to the 'System' → 'Configuration' and press 'Payment Methods' under 'Sales' section. 4. In the next step, press GPN DATA and set up API access. To do so, fill 'Gateway URL' , 'Merchant ID' , 'API Username' , 'API Password' and 'API Key' fields with your GPN DATA API details. Select 'Yes' from 'Enabled' dropdown menu to turn this payment gateway on. Next, confirm through pressing 'Save Config' button. 5. You can set up a lot of additional options, each of them is listed below. 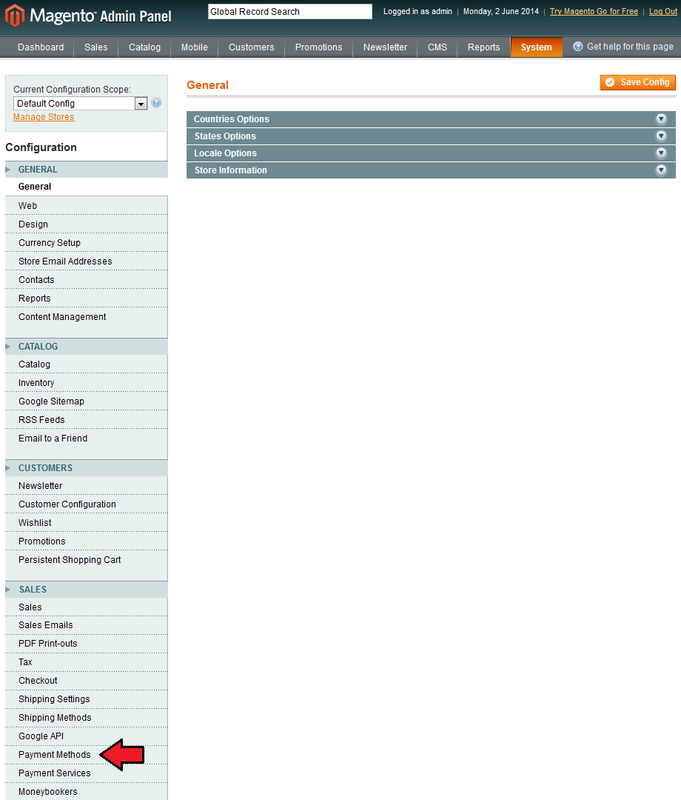 Title - name under which a gateway will be visible in the Magento client area. New Order Status - status given to the new orders. 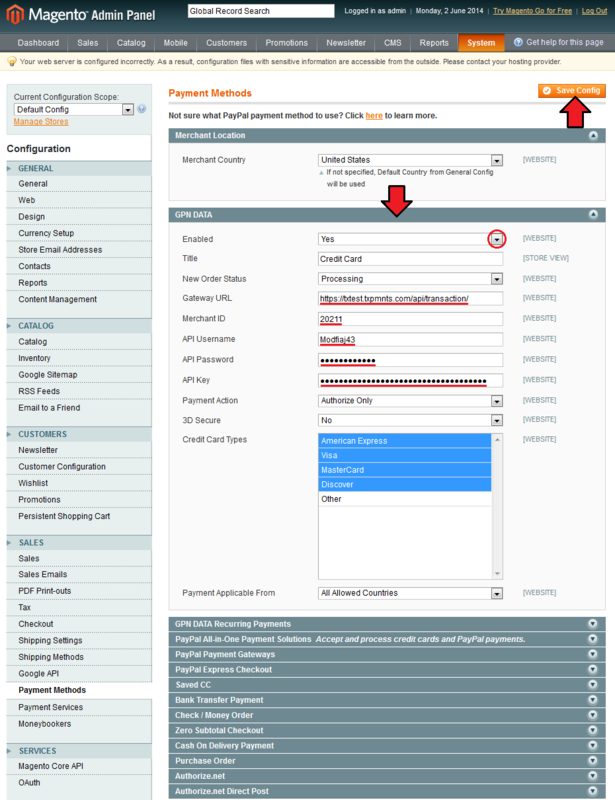 Payment Action - allows you to switch between 'Authorize Only' & 'Authorize and Capture' . 3D Secure - enables 3D Security, we recommend to turn this on. Credit Card Types - enables you to decide which credit cards are accepted. Payment Applicable From - allows you to decide whether accept payments from all accepted countries or only from specific ones. Before setting up 'Payment Action' & '3D Secure' please make sure that your GPN DATA merchant account allows using of a certain option. 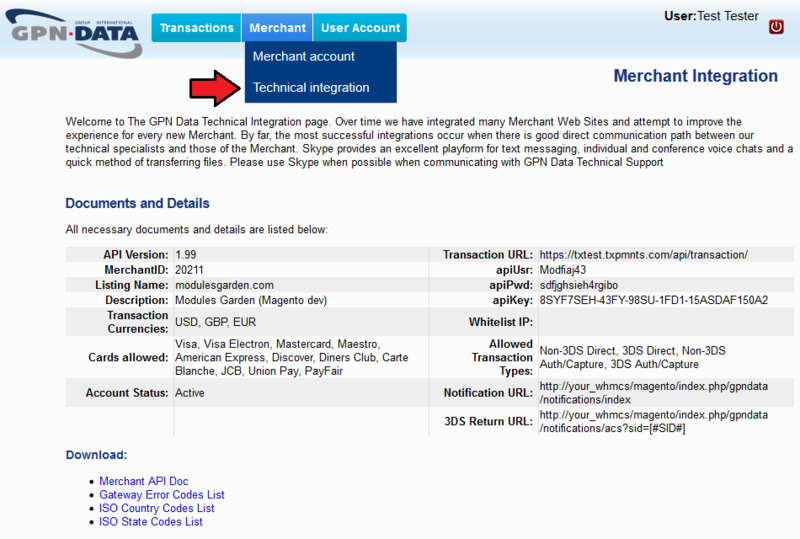 Information about allowed transaction types can be found at GPN DATA panel 'Merchant' → 'Technical integration' . After finishing set up of additional settings, click on 'Save Config' button. 6. You have just successfully configured GPN DATA payment gateway! 7. In order to allow recurring payments, you need to configure 'GPN DATA Recurring Payments' . Press 'GPN DATA Recurring Payments' as shown on the following screen and proceed with setting it up. Fill 'Gateway URL' , 'Merchant ID' , 'API Username' , 'API Password' and 'API Key' fields with your GPN DATA API details. Select 'Yes' from 'Enabled' dropdown menu to enable this gateway. Title - name under which the gateway will be visible in the Magento client area. Credit Card Types - enables you to decide which credit card are accepted. Cron Charges Enabled - if enabled, empty max cycles field is handled. Hidding Empty Totals Enabled - if enabled, 0,00 subtotal and total during checkout are not displayed. Click on 'Save Config' button to save any changes. 9. You have just successfully configured GPN DATA Recurring Payment gateway! As you noticed earlier, GPN DATA For Magento consists of two gateways. First one allows you to make one time payment while second one enables you to make recurring payments. On the following screen we will show you order form for one time payment. Afterwards, we will move to order page of this product at the admin area to show you additional functionalities of this gateway. It may happen that your client places an order that he wants to remove a while later. Owing to our extension, you can easily do that. Simply go to the order that you want to remove and press 'Void' button as shown on the following screen. 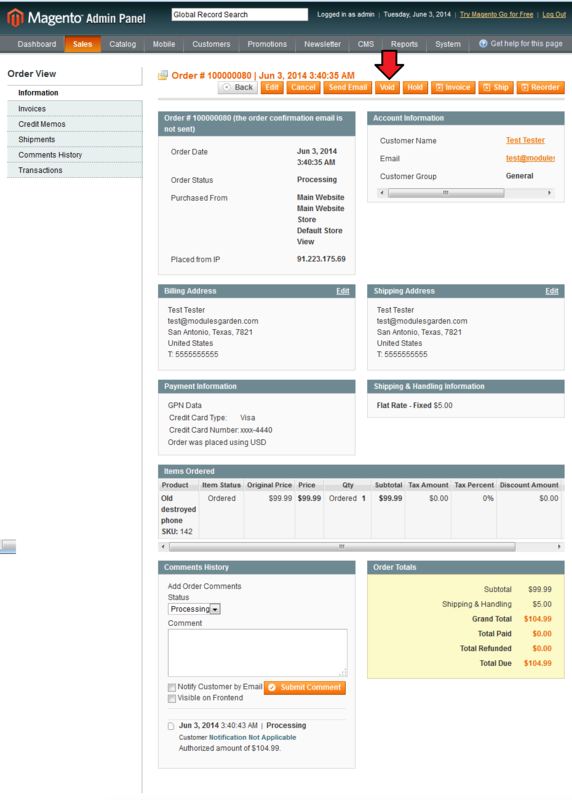 Note: Invoice is not created immediately after order only when 'Payment Action' is set up to 'Authorize Only' . As you may notice on the following screen, ordering of product with recurring payment goes alike ordering product with one time payment. The only difference visible on the following screen is a different payment gateway used. 'GPN DATA Recurring Payment' automatically manages payments in subsequent billing periods. 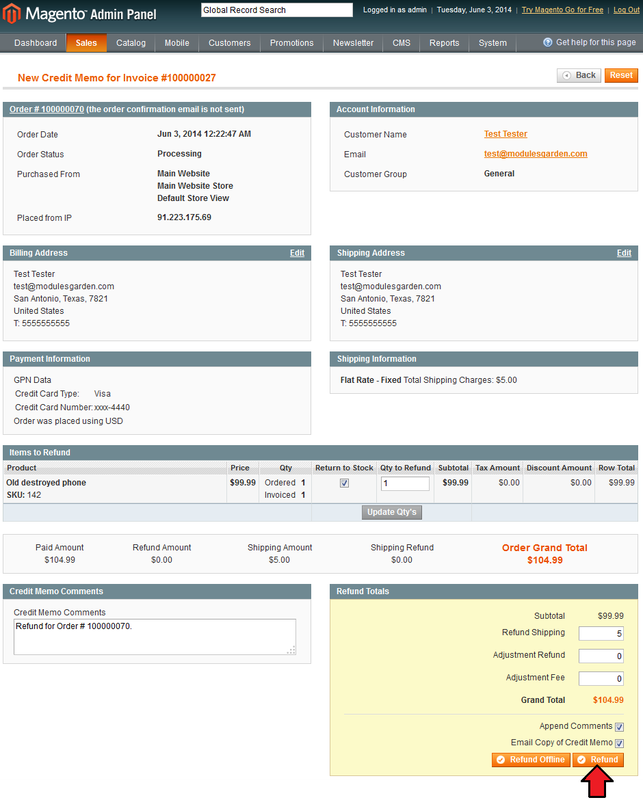 As soon as your client orders a product with recurring payment, new recurring profile for that payment is created. On the following screen you can see recurring profile for previously ordered product visible from the admin area. Owing to our extension you are able to cancel and suspend that recurring profile. GPN DATA payment gateway also gives you a possibility to manage refunds. In order to make a refund, proceed to invoice that you wish to make it for. Afterwards, press 'Credit Memo' button as shown on the following screen. Now, press 'Refund' button and refund request will be sent to GPN DATA server. 1. Due to GPN DATA server limitation, your client are able to create only one recurring profile per credit card. 2. You can also easily translate our extension and change used language. More information about it can be found here. 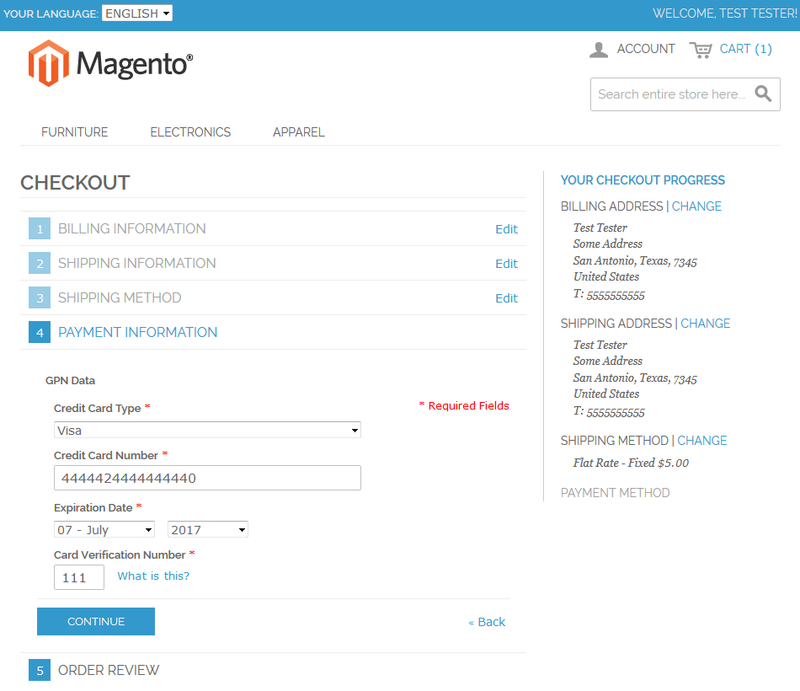 a) Your Magento is accessible from the web and .htaccess is turned off.